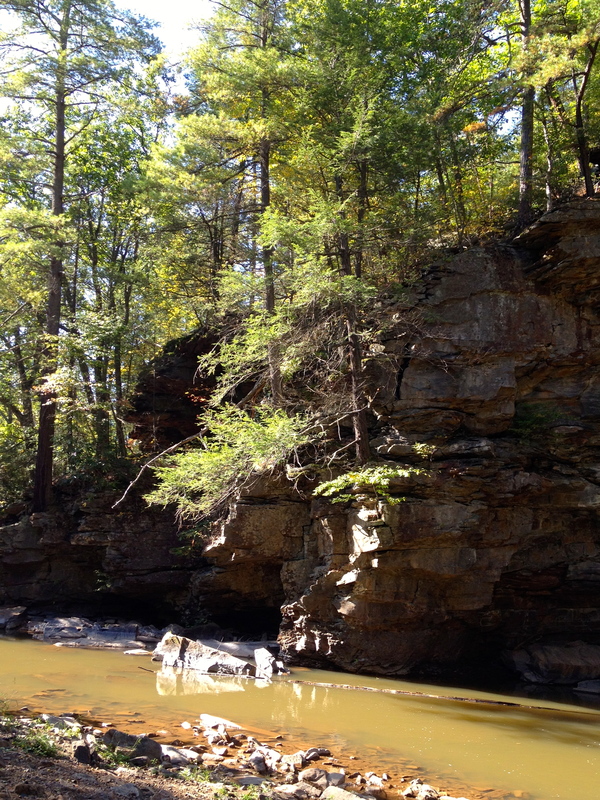 I love Trough Creek State Park. If you aren’t from Central Pennsylvania, chances are slim that you’ve ever heard of it. It is an unknown gem. 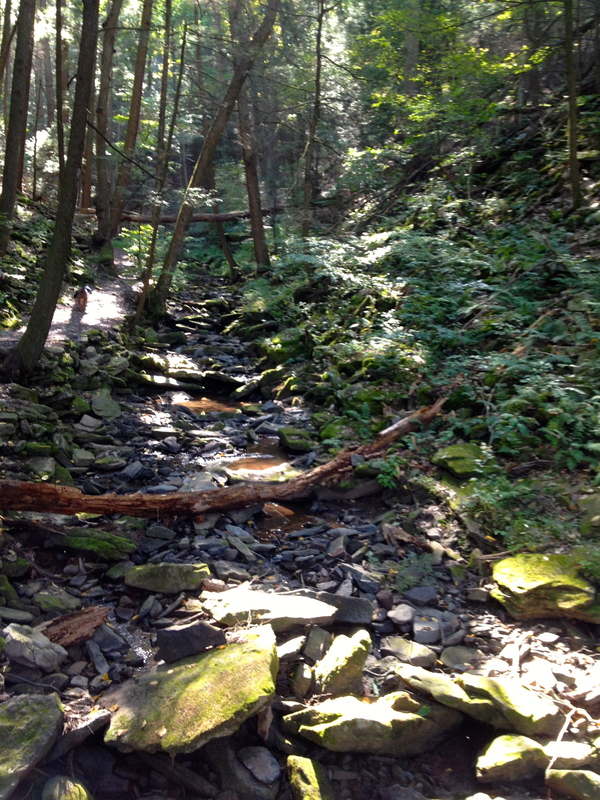 A stunning, quiet example of Pennsylvania’s beauty. When I go there, I am awed by its splendor. I may sound dramatic, but I truly love every rock, tree, and rhododendron on its hills. So, keep my opinion in mind when you hear me say anything about Trough Creek. I am extremely biased. Once again, we got started late and didn’t allow enough time to take a longer trail. So we parked at the swinging bridge, crossed it, and headed up the hill to the right to visit the Balanced Rock. I’ve been there at least 30 times. I always go back. 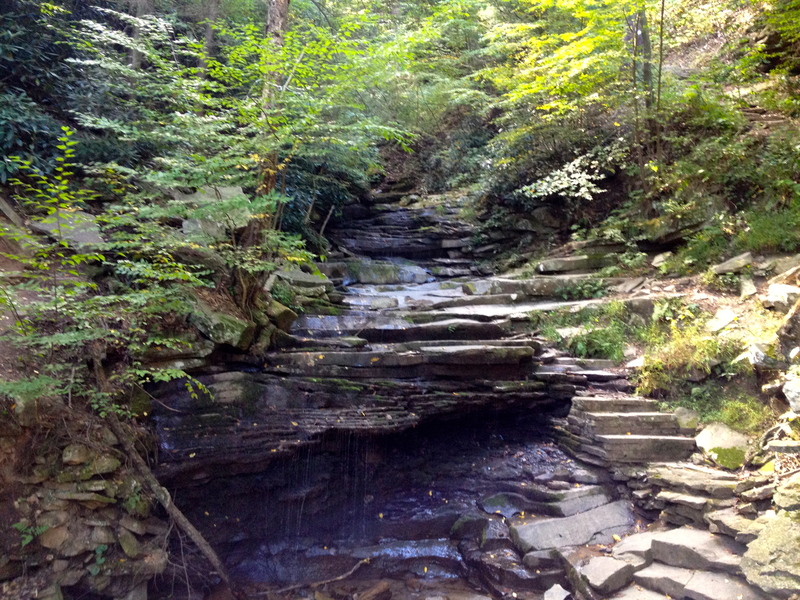 To get to the rock, the path takes you to a beautiful small waterfall called Rainbow Falls. Old stone stairs lead you up the hill after crossing over on the wooden bridge. 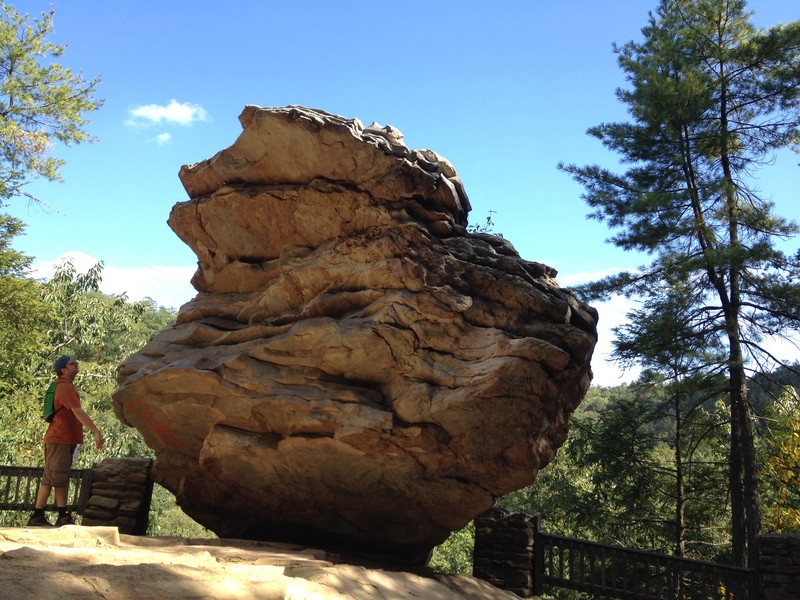 The Balanced Rock amazes you no matter how many times you see it. People for some reason find it okay to paint it with graffiti, but I guess kids will be kids. Someone cleans it off every now and then. We then returned past the waterfall and back to the swinging bridge so we could catch Rhododendron Trail. 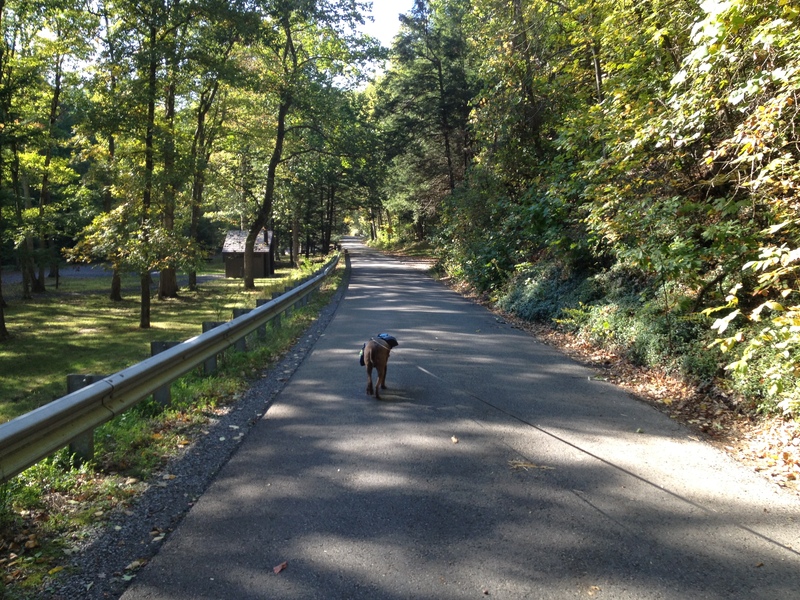 We followed Rhododendron Trail to Copperas Rock and then walked the road back to the vehicle. The .6 miles show below, does not include getting back to your car, which adds a bit of walking, but it is easy, flat walking. 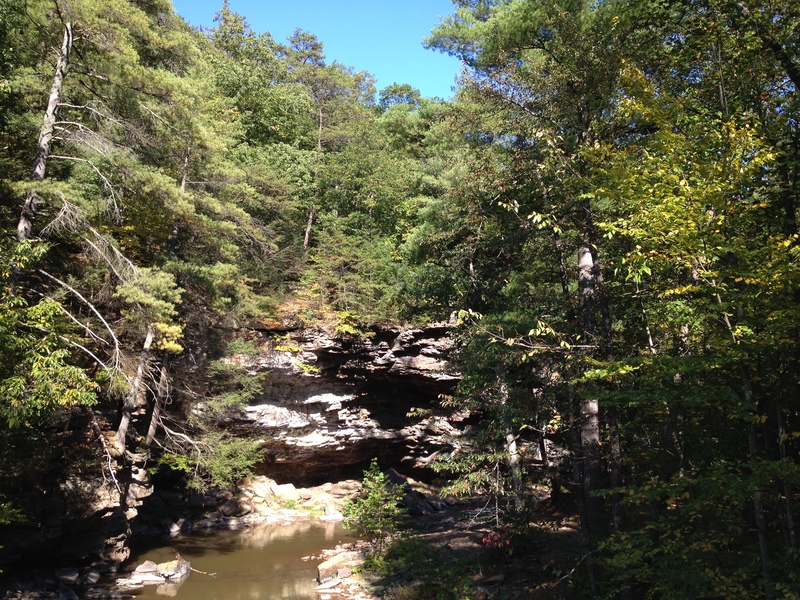 Starting at Copperas Rock Trail and ending at the suspension bridge, this trail takes hikers up and down from ridge top to valley floor. Its name is derived from the beautiful rhododendrons that line the trail. 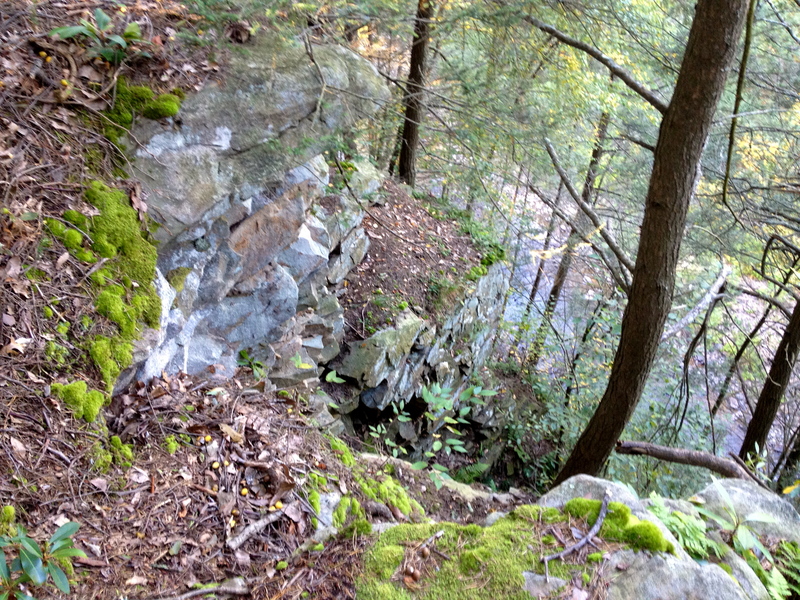 The steepest portion of the trail is very rocky and requires cautious footing. Rhododendron usually blooms in early July. Trough Creek Drive…the walk back to the car.